Over the past two seasons the Sabres have been one the lowest scoring teams of all time. This offseason, the organization recognized the weakness in the forward group. Buffalo will have many new faces in the lineup this upcoming season that’ll make a big contribution offensively. Of the three position groups, the forwards saw the biggest turnover this offseason. At the end of last season, the Sabres had Johan Larsson as their top center. This upcoming season the center position will be a strength of the club. 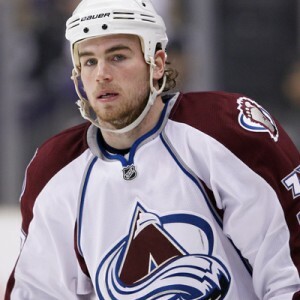 The new top line center will be newly acquired Ryan O’Reilly. O’Reilly may not be in the lineup opening night due to his off ice issues this summer, but he shouldn’t miss significant time. The 24-year-old pivot man will not only provide the Sabres with scoring, but he’ll be a huge upgrade in the defensive zone. Behind O’Reilly will be new face of the franchise and 2nd overall pick Jack Eichel. The 18-year-old may eventually take over as the number one center, but he’ll start the season earning his NHL minutes. Eichel may take some time to adjust to the NHL game, but he could have veteran help on the wings in players like Matt Moulson and Evander Kane. In College and World Championships, the Boston native was quiet his first few games to get comfortable with the speed of the game. Once he settled in, he began to take over games and be a dominant force. I wouldn’t be surprised to see the same trend take place at the NHL level. The depth at center continues for the Sabres as you move down the roster. Centering the third line will likely be 2014-15 All-Star Zemgus Girgensons. The 2012 first round pick was the Sabres top center most of last season scoring a career high 15 goals and 30 points in 61 games. 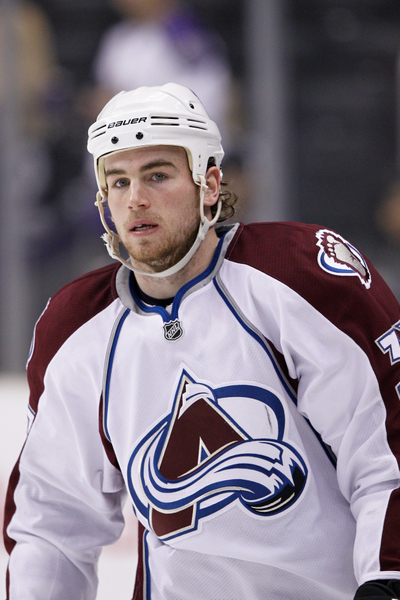 The 4th line will likely be rounded out by newly acquired veteran David Legwand or Cody McCormick. The top three centers for the Sabres average 21-years-old and if you include 19-year-old Sam Reinhart who’ll likely start on the wing, the average age is 20.5 years old. The future is very bright down the middle for the Sabres with O’Reilly, Eichel, Girgensons and Reinhart. Buffalo appears to be set at the pivot for the foreseeable future. The Sabres didn’t overhaul the wings in the offseason like at the center position. However, they will be having some players making their Sabres debuts next season. 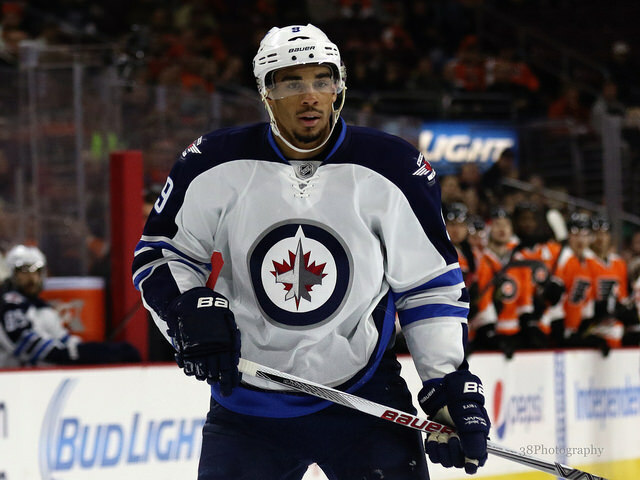 Most importantly will be trade deadline acquisition Evander Kane. Fans have been drooling over the idea of Kane in blue and gold since March. Buffalo expects a lot from Kane this season and he’ll have every opportunity to succeed playing with either Eichel or O’Reilly. The top wingers from last season will be looking to make an impact this year, in Tyler Ennis and Matt Moulson. Ennis was the leading scorer for the Sabres last year and is on the brink of a break out season. Moulson on the other hand struggled last season scoring a full season career low of 13 goals. The 31-year-old will look to rebound this season likely playing with a top center again in Eichel. Moulson will be bonding with Eichel off the ice as well. Eichel will be living with Moulson during his first NHL season. The second tier will consist of 2014 2nd overall pick Sam Reinhart, who’ll be playing his first NHL season. Reinhart came into development camp this season stronger, improved his skating and determination to make the team in training camp. Rounding out the group will be veterans Brian Gionta and Marcus Foligno. Gionta came in and did just what the Sabres expected him to do last season. He was a great leader and provided secondary scoring. Foligno has had an up and down career since bursting onto the scene when he was first called up a few years ago. Buffalo will be looking for consistency out of the 24-year-old. The 4th line will be an interesting camp battle with players like Jamie McGinn, Nic Deslauries, Johan Larsson and Cody McCormick all battling for the final two spots. Larsson come on strong to end last season as a top line player. 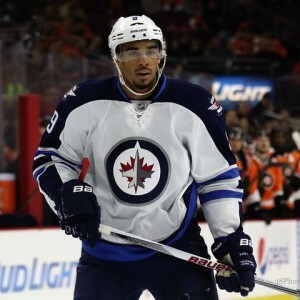 The Sabres may look to give Larsson the opportunity to see if he can continue what he finished last season. Deslauries and McCormick are similar players, while McGinn can provide scoring at the bottom of the lineup. The three wingers will be battling for ice time and the competition may push the bottom of the lineup to be very productive. The Sabres are very deep down the middle and have potentially one of the best center groupings in the NHL in the coming years. The upgrades made to the forwards have pushed the Sabres from a bottom dweller team to a potential playoff team. I give the forwards a grade of a ‘B’ with the potential to turn into an ‘A’ once the players get used to playing together.